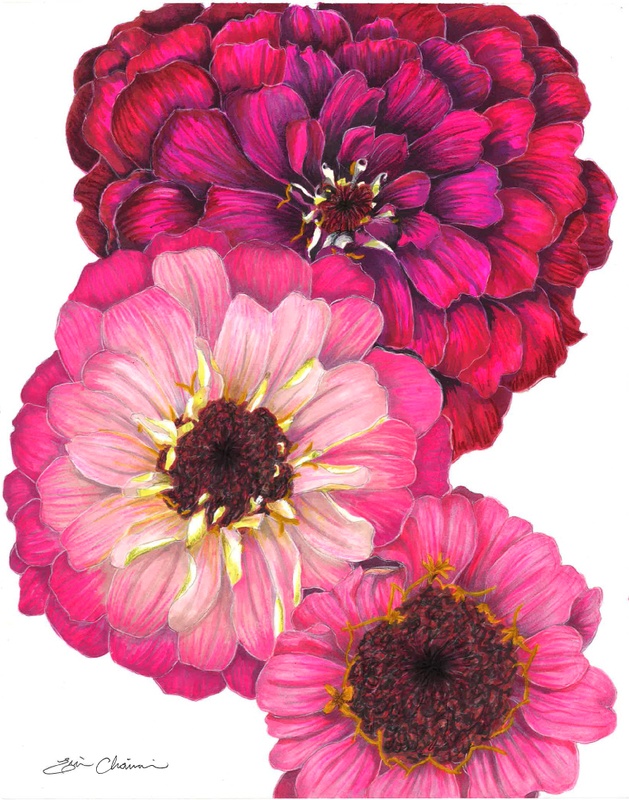 Although my primary business is toy portraits, I am frequently approached to paint custom portraits of people, pets, favorite flowers (hint: a custom portrait of the wedding bouquet is a great gift for the bride that has everything) and just about anything else that’s special to someone. 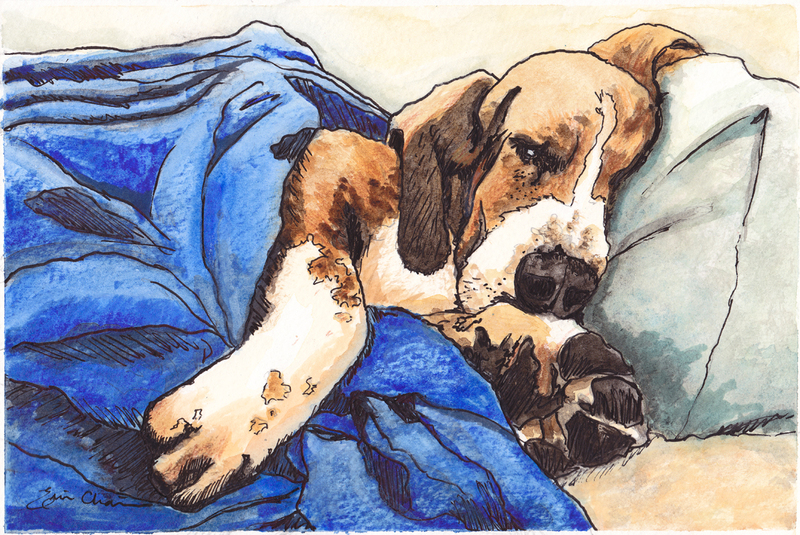 The custom painting in mixed media (watercolor, gouache, pencil, ink) is based on a photo you submit of the special commission subject. All paintings are done on high quality 140lb cold press watercolor paper. 3 sizes available. 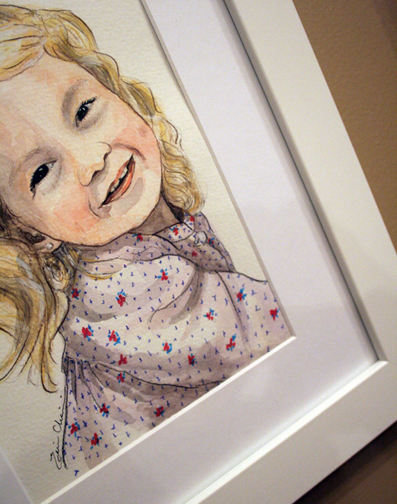 Portraits can be ordered framed or unframed. The eco-friendly recycled white wood frames come with a glass front and a white, acid-free 4-ply beveled mat. 4x6 portraits are framed in an 8x10 frame, 6x9 portraits are framed in a 9x12 frame, and 9x12 portraits are framed in an 11x14 frame. Turnaround time is approximately 2 weeks - faster turnaround is usually possible if an express request is submitted at the time of purchase. After purchasing, please go to the Contact page to submit photos and some brief information about the person or items to be painted. Additional detail photos are appreciated but not necessary. Please contact me with any questions about special commissions – I’ll get back to you right away! I will email you to confirm receipt of payment and of the photograph. All paintings ship by USPS Priority Mail. Contact Erin For Pricing on Special Commissions. All paintings are done on high quality 140lb cold press watercolor paper. 3 sizes available. 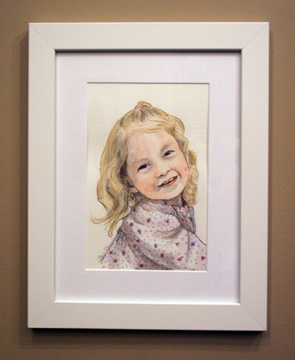 Portraits can be ordered framed or unframed. The eco-friendly recycled white wood frames come with a glass front and a white, acid-free 4-ply beveled mat. 4×6 portraits are framed in an 8×10 frame, 6×9 portraits are framed in a 9×12 frame, and 9×12 portraits are framed in an 11×14 frame. Turnaround time is approximately 2 weeks – faster turnaround is usually possible if an express request is submitted at the time of purchase.